View Cart “STAR-OP-UCO-Class – 4 (2018-2019)” has been added to your cart. 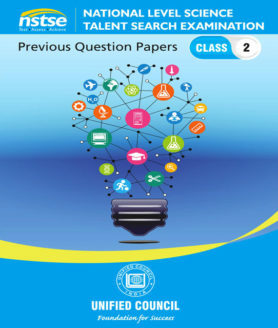 NSTSE Past Question Papers : This E-Book consists of Question Papers (past 10 academic years including 2018-19) of National Level Science Talent Search Examination (NSTSE) conducted by Unified Council. Key for the same and Explanations for select questions are also provided along with. Extremely helpful for NSTSE preparation. It is a great tool to get a ‘hands-on experience’ multiple times, before the actual exam. By doing so, you will get an opportunity to know your short-comings if any, in all subjects of NSTSE, and will be able to improve upon the same before the actual exam, thereby ensuring greater success. Please note that this is available only in downloadable E-book format. 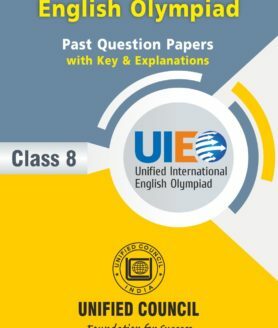 UIEO Past Question Papers : This E-Book consists of Question Papers (past 10 years) of Unified International English Olympiad (UIEO) conducted by Unified Council. Key for the same and Explanations for select questions are also provided along with. Extremely helpful for UIEO preparation. It is a great tool to get a ‘hands-on experience’ multiple times, before the actual exam. By doing so, you will get an opportunity to know your short-comings if any, in all sections of UIEO, and will be able to improve upon the same before the actual exam, thereby ensuring greater success. STAR-OP is a downloadable test series of 10 papers released over 10 weeks. Level and pattern of these papers is similar to question papers of National Level Science Talent Search Examination (NSTSE) conducted by Unified Council. This programme thus will provide sufficient practice and hone your skills in a particular direction – that of success. The programme is available online and once registered, you will get 1 question paper and 1 OMR answer sheet every week for your class. 10 Detailed Solutions for the practice test papers. Day 1’s solution will be uploaded along with Day 2’s test paper and so on. 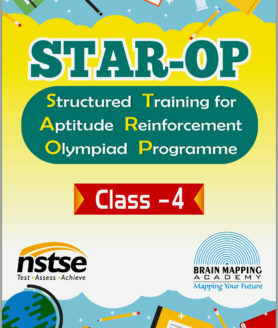 STAR-OP is a downloadable test series of 10 papers. Level and pattern of these papers is similar to question papers of National Level Science Talent Search Examination(NSTSE) conducted by Unified Council. STAR-OP is an e-product, hence exclusively online. All related communication(s) will be sent to the email ID you use while registering for STAR-OP. Kindly ensure to enter correct and active E-mail ID only. Please add starop@bmatalent.com to your address book in order to avoid STAR-OP related mail going to your JUNK/SPAM folder, even by chance. While opting for STAR-OP, kindly double check the class you choose, before adding the product to your cart. 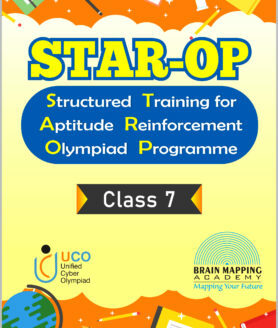 STAR-OP is an innovative and structured programme to nurture ‘Olympiad Aptitude’ of students, for scoring great in Unified Cyber Olympiad (UCO). It is a great tool to get a ‘hands-on experience’ multiple times, before the actual exam. STAR-OP is a downloadable test series of 8 papers released over 8 weeks. Level and pattern of these papers is similar to question papers of Unified Cyber Olympiad (UCO) conducted by Unified Council. This programme thus will provide sufficient practice and hone your skills in a particular direction – that of success. 8 Detailed Solutions for the practice test papers. Day 1’s solution will be uploaded along with Day 2’s test paper and so on. The above has been fully released and has benefitted many, you can grab it now without having to wait. STAR-OP is a downloadable test series of 10 papers. Level and pattern of these papers is similar to question papers of Unified Cyber Olympiad(UCO) conducted by Unified Council.